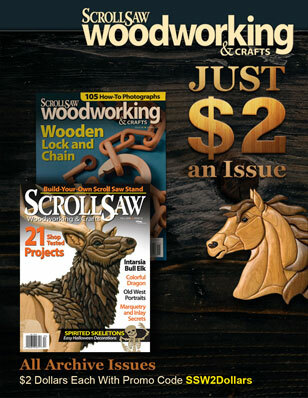 In the Summer 2011 issue of Scroll Saw Woodworking & Crafts (SSW43), long-time scroll saw author and instructor Joanne Lockwood shares a few techniques for beginners. 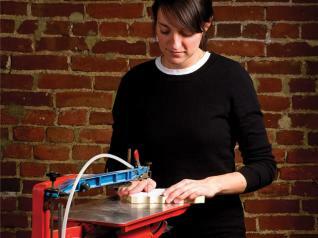 Joanne has always felt the best way to learn scroll saw techniques is to take a class. Unfortunately, that’s not always an option for new scrollers. 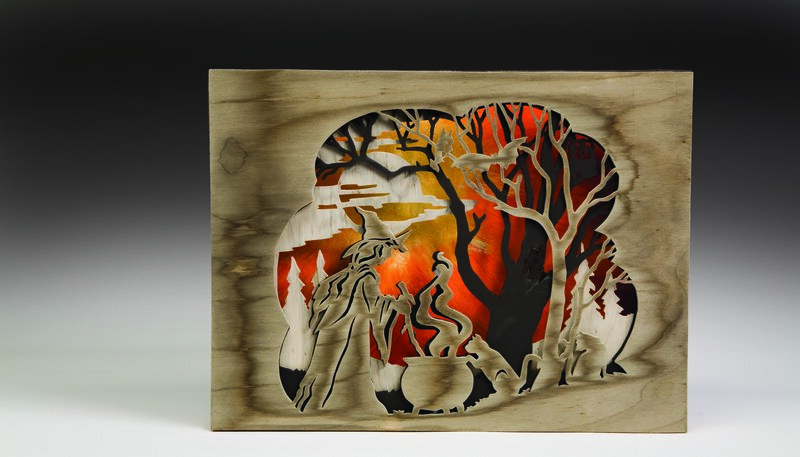 Most beginners jump right into cutting a project and are disappointed with the experience and the results. Beginners should take the time to learn and practice basic techniques. Experienced scrollers can use the following tips when introducing friends to this rewarding hobby. 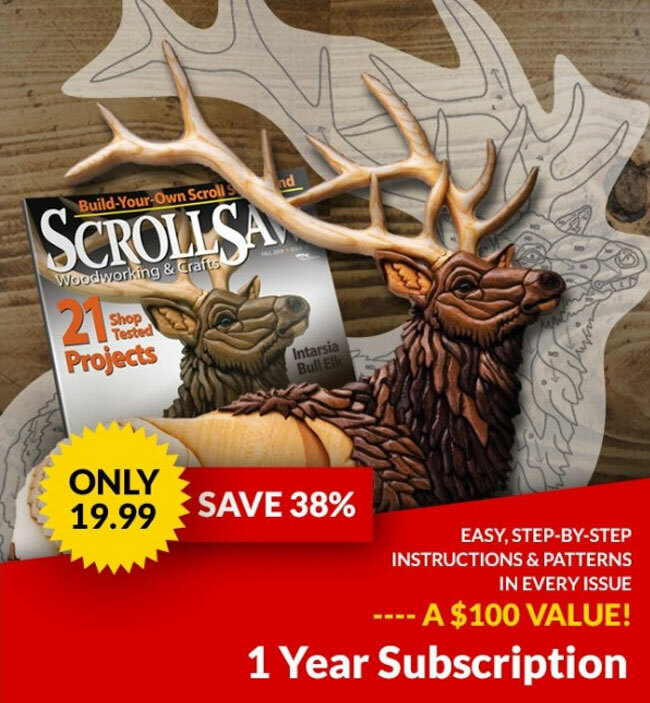 One of the most important things to learn is how to hold and maneuver a scroll saw blank. Make a copy of the practice pattern and attach it to your blank. Then, get ready to make some sawdust. After you work through the practice pattern, you’ll be ready to tackle more challenging projects. A step-by-step, project-by-project manual taken from Joanne’s all-day, hands-on seminar. Includes twenty-three projects.